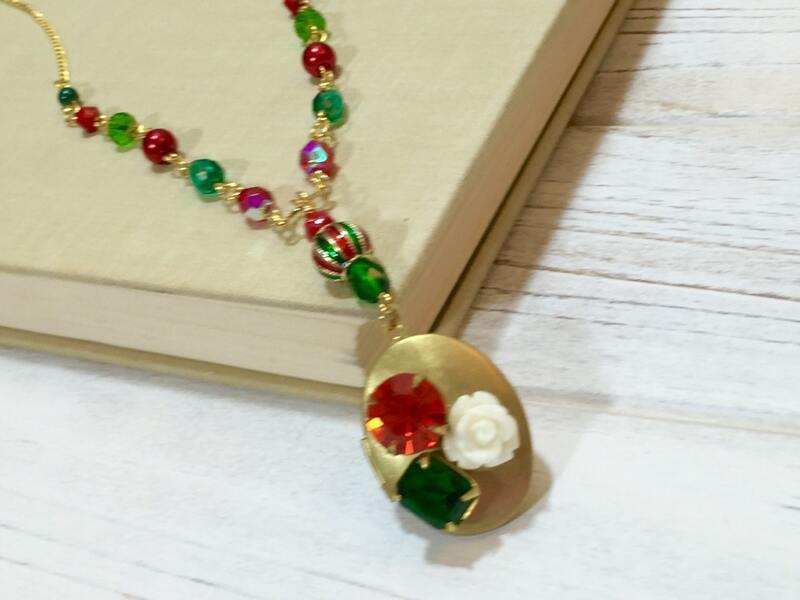 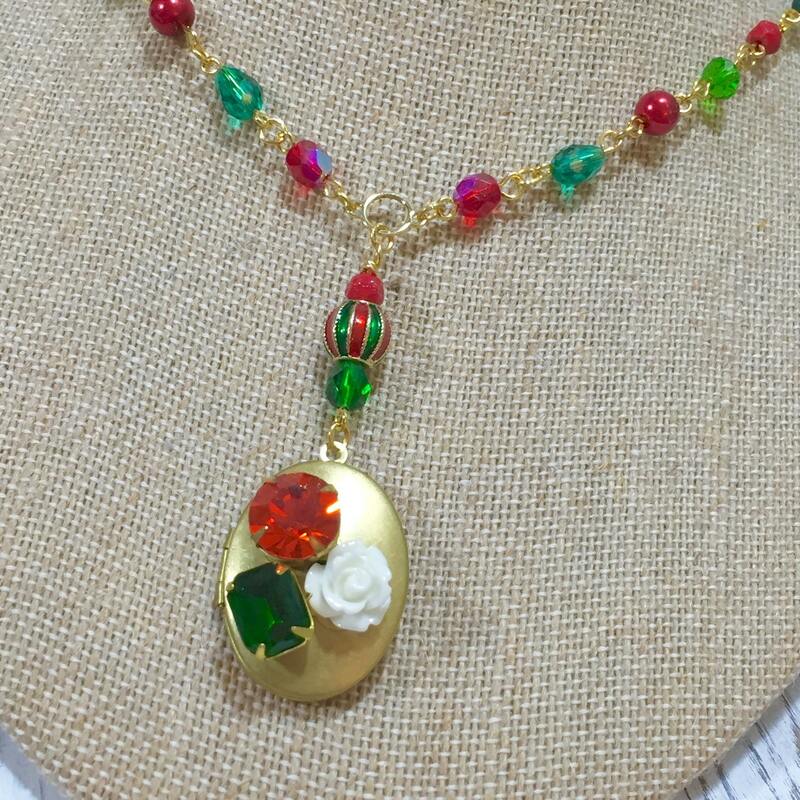 I made this necklace by first taking a vintage brass locket & securely affixing two vintage rhinestones and a resin icing flower, then I made the connection with an enameled metal bead, czech glass bead and a vintage czech glass bead. 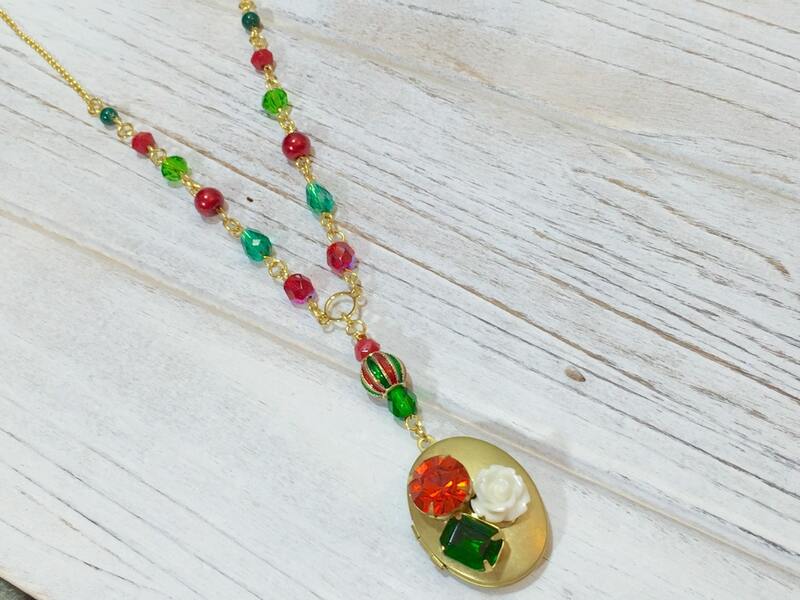 The necklace was made rosary style with glass pearl beads, faceted glass beads, and vintage czech glass beads. 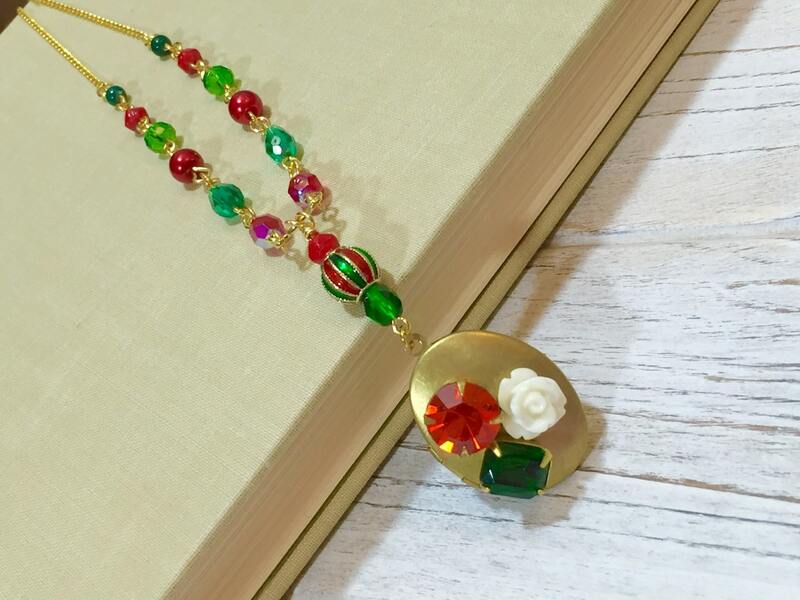 You are purchasing the necklace photographed measuring about 19.25 inches (49 cm) long with the pendant measuring about 2.5 inches (6.4 cm) long.